We've all been there: you looked up the directions to the restaurant at home, and forgot them while you sat at work. Now your significant other is somewhat miffed because you're half an hour late, so you search for the address on your phone... and can't remember the French name with all the extra punctuation. 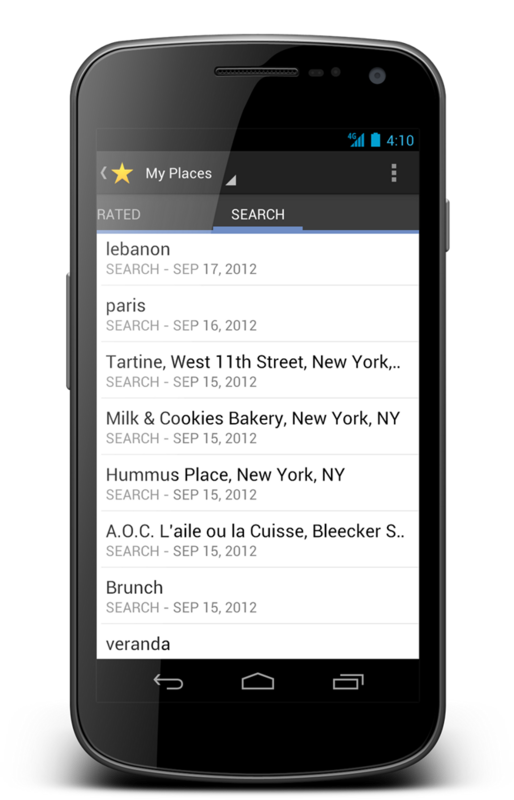 Google's got your back: the latest version of Google Maps for Android remembers the searches you've made on the Google Maps website, and brings them up as you begin to type. You'll also have access to your Maps search history, as well as a list of the places for which you've requested directions and/or navigation. There's also a new way to zoom into your maps, designed specifically for use with one hand: double-tap, then slide your finger to zoom in or out. The new version is available for download in the Google Play Store now for all devices. Remember that you'll have to be logged into your Google account on your desktop in order for your searches to sync across devices.